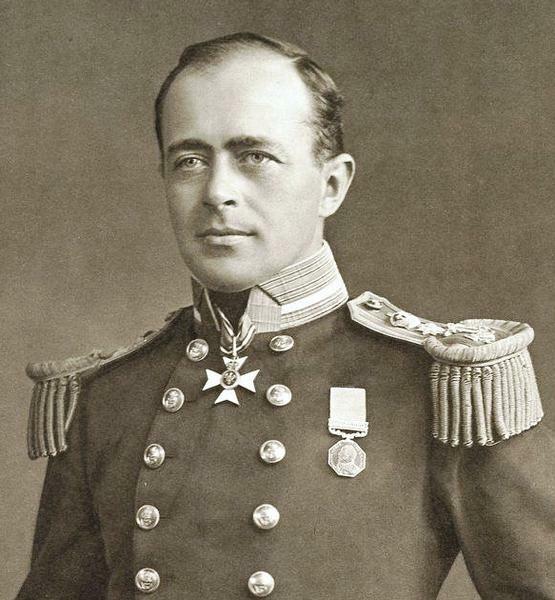 Captain Robert Falcon Scott CVO RN (6 June 1868 – 29 March 1912) was a British Royal Navy officer and explorer who led two expeditions to the Antarctic regions: the Discovery Expedition (1901–1904) and the ill-fated Terra Nova Expedition (1910–1913). 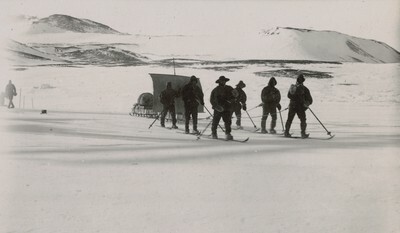 On the first expedition, he set a new southern record by marching to latitude 82°S and discovered the Polar (Antarctic) Plateau, on which the South Pole is located. 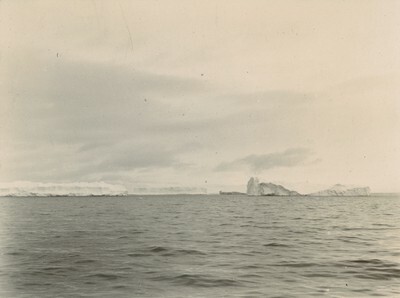 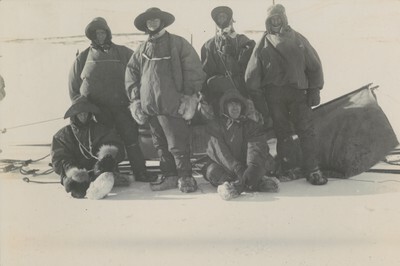 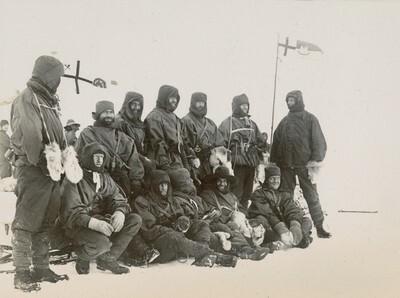 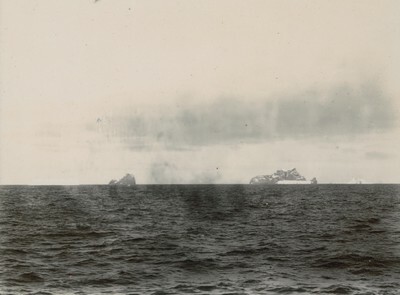 On the second venture, Scott led a party of five which reached the South Pole on 17 January 1912, four weeks after Roald Amundsen's Norwegian expedition. 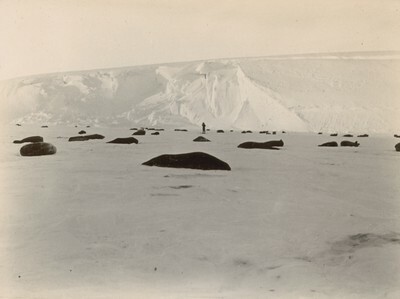 On their return journey, Scott's party discovered plant fossils, proving Antarctica was once forested and joined to other continents. 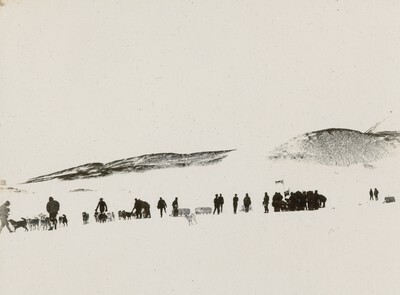 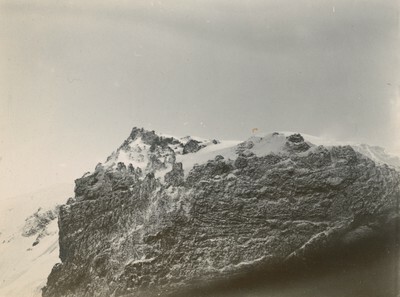 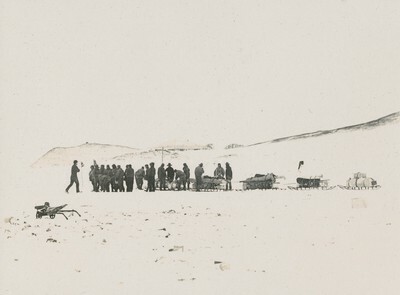 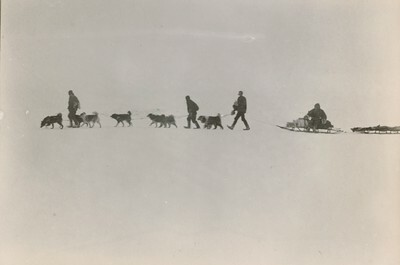 A planned meeting with supporting dog teams from the base camp failed, despite Scott's written instructions, and at a distance of 150 miles from their base camp and 11 miles from the next depot, Scott and his companions perished. 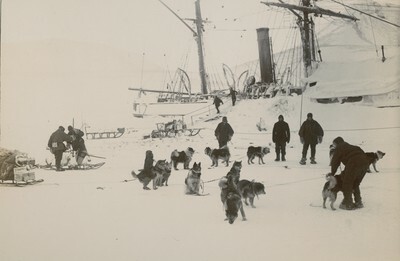 Before his appointment to lead the Discovery Expedition, Scott had followed the career of a naval officer in the Royal Navy. 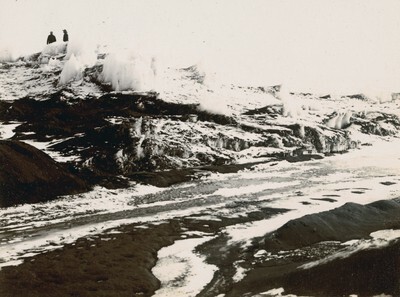 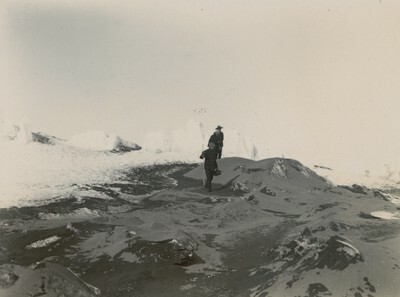 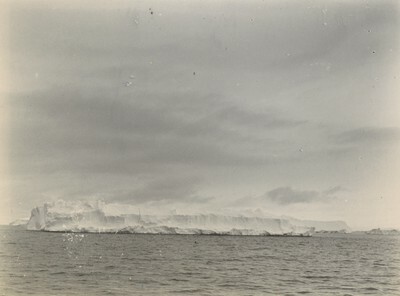 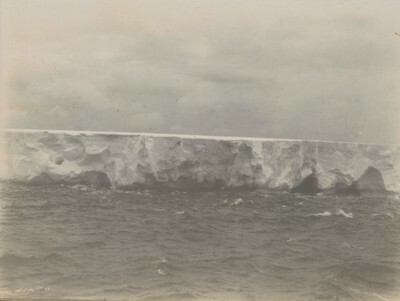 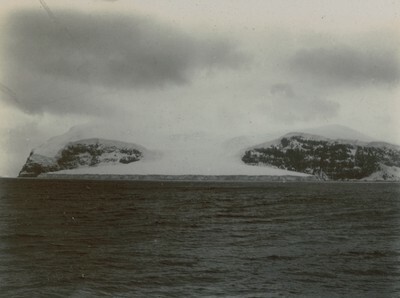 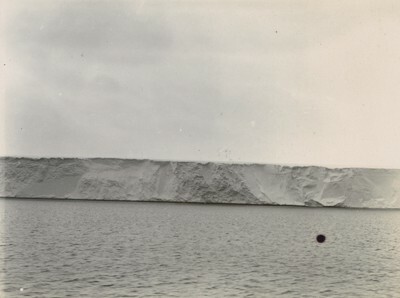 In 1899, he had a chance encounter with Sir Clements Markham, the president of the Royal Geographical Society, and thus learned of a planned Antarctic expedition, which he soon volunteered to lead. 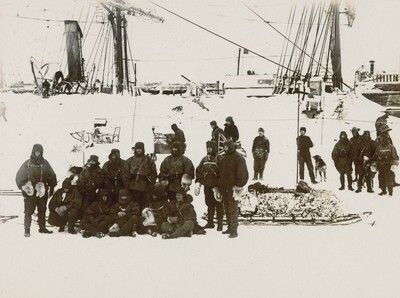 Having taken this step, his name became inseparably associated with the Antarctic, the field of work to which he remained committed during the final 12 years of his life. 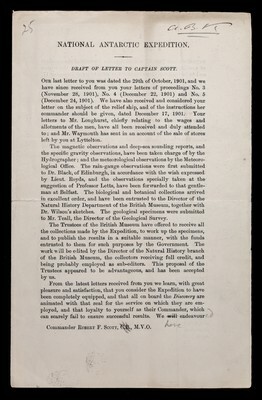 Following the news of his death, Scott became a celebrated hero, a status reflected by memorials erected across the UK. 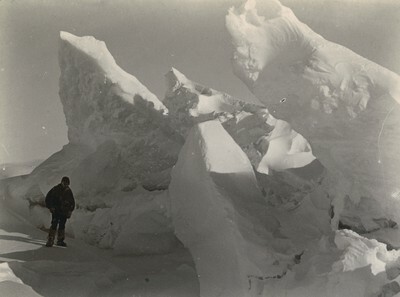 However, in the closing decades of the 20th century, Scott became a figure of controversy, with questions raised about his competence and character. 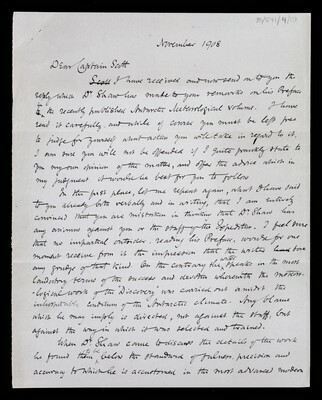 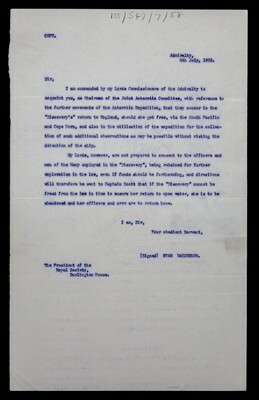 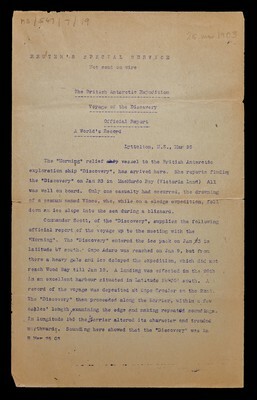 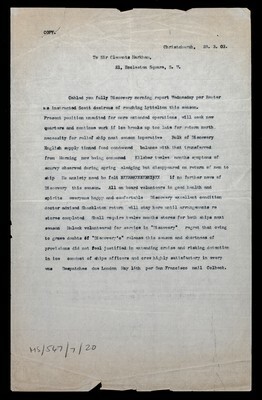 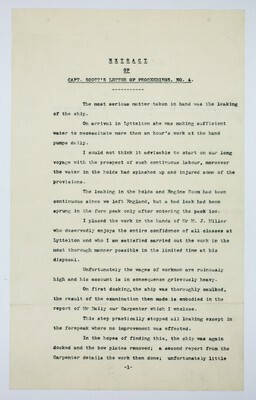 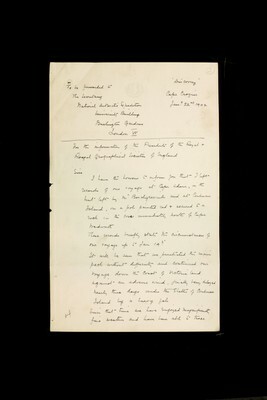 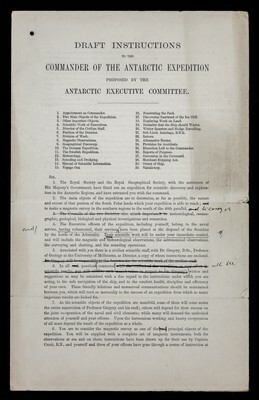 Commentators in the 21st century have regarded Scott more positively after assessing the temperature drop below −40 °C (−40 °F) in March 1912, and after re-discovering Scott's written orders of October 1911, in which he had instructed the dog teams to meet and assist him on the return trip.